The adoption of the Kyoto Protocol of the United Nations Framework Convention on Climate Change has stimulated the search for methods of reducing net carbon dioxide (CO2) emissions to the atmosphere. One way of achieving this is by replacement of fossil fuel by renewable bioenergy fuel sources and energy crops are likely to be a major contributor to the renewable energy mix in the future. The development of a European and national sustainable energy policy provides a clear indication of the Irish governments desire for the development of a local supply and market for biofuels. However, there may be unquantified environmental costs of converting to the wholesale production of biofuels. 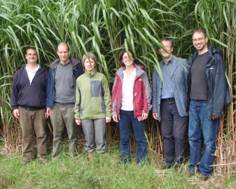 This project quantifies the environmental consequences of biofuel production in terms of effects on biodiversity and consequent changes in the ecosystem services that agro-ecosystems provide. Document how high and low intensity energy crop production affects biodiversity at a hierarchy of scales including genetic, species and landscape diversity. 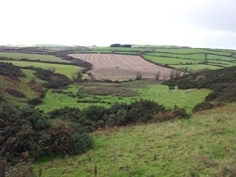 Investigate how agricultural intensification at the landscape scale affects biodiversity associated with bioenergy crops. Investigate how field margins in energy crops contribute to biodiversity of associated flora and fauna. 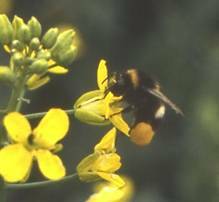 Understand how bioenergy crops contribute to the biodiversity of pollinators, natural enemies, and agricultural weeds at the landscape scale in agro-ecosystems. Define the relationship between biodiversity and soil carbon sequestration in high and low intensity energy crops. Document correlations between biodiversity and associated ecosystem functions and services. Define the mechanisms underpinning biodiversity effects on ecosystem services. Last updated 20 July 2012 by simbiosys@tcd.ie.